This scene includes various 1/35 Tamiya kits: Sandbag Set (35025), British 25 pdr. Field Gun (CA146; 35046), British Quad Gun Tractor (CA145; 35045). 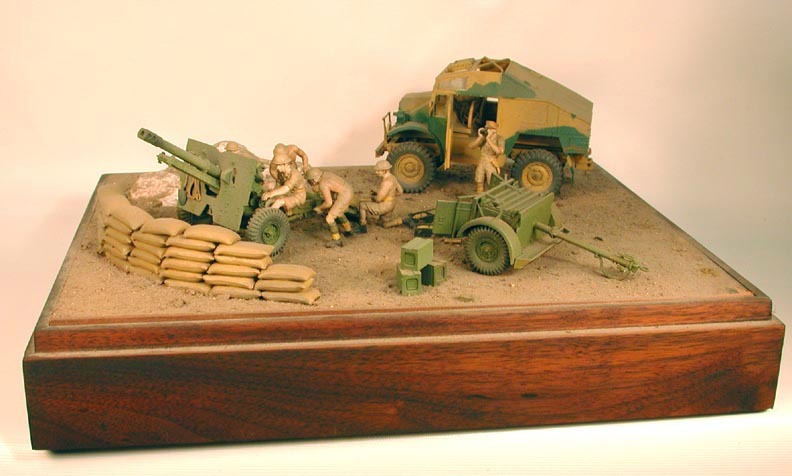 In January 2006 this diorama was donated to Brown University's Anne S. K. Brown Military Collection at the invitation of its curator [GPL].